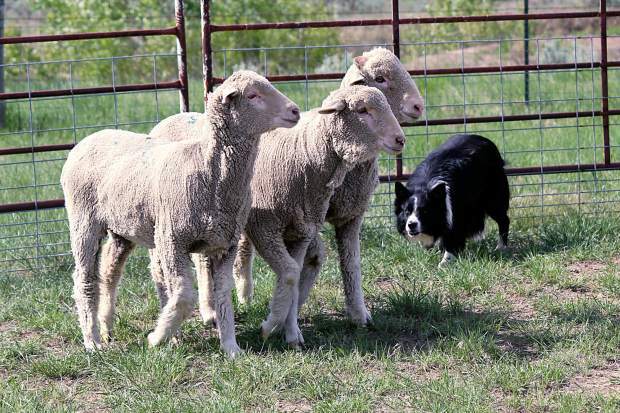 Enthusiasts of good dogs and supreme livestock handling won't want to miss the first Sunday Creek Sheepdog Trial to be held June 24-25 near Miles City, Mont. Approximately 60 highly-trained Border collies and their handlers will compete in a U.S. Border Collie Handler's sanctioned trial. All dogs in classes from the top-tiered open dogs to the starting novice and nursery dogs will work a group of sheep through a specific course under the direction of their skilled trainers. The dogs' skills in gathering, driving, sorting and penning the sheep are evaluated on a points basis. Host Rene LaBree, a rancher from Ismay, has competed in sheepdog trials for more than 15 years, and assisted with organizing competitions in other locations. This is the first year she has hosted a trial at her own acreage at the Bergerson Ranchettes near Miles City. There are numerous competitions in surrounding states, but this is the only field trial to be held in Montana this year. "This is something I've wanted to do for a long time – to bring this competition to this area," says LaBree. "I want to share these great dogs and this breed with people, and invite everyone who has an interest to come learn more about working Border collies." Spectators are welcome to come and view the days' events, which will start at approximately 7 a.m. each day and last until mid-afternoon. The location is approximately 6 miles from Miles City. Take Highway 59 north past the airport to Highway 489 (Kinsey Highway). Go 4 miles, and turn left on N. Sunday Creek Drive. Go 0.7 miles to the start of the course on Tuesday Drive. Parking is available, and spectators are welcome to set up lawn chairs in designated areas near the course. Please leave all pets at home and be courteous to the human and canine competitors. For more information, contact Rene LaBree at 406.234.6398 or renelabree@gmail.com, or find the event on Facebook. 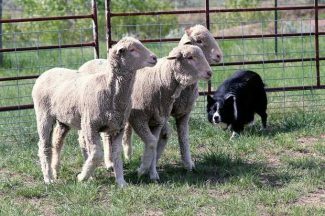 Additional information on sheep dog trials is available on the U.S. Border Collie Handler's Association site at http://www.usbcha.com.